Before you head to the exchange for your next shopping trip, be sure to check the My Home Base Circular, the digital coupon flyer available at MyMilitarySavings.com. Through this interactive set of ads, you can easily navigate all of our most popular deals on the items you need from your local exchange before ever leaving for your shopping trip. Within the document viewer for our monthly circulars, you can click any item to see more information about the specials and coupons available for it. As an added bonus, there are buttons available to share the ad with your friends and family through social networking or print it to take with you to the exchange. 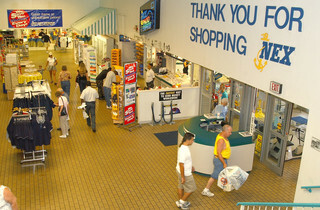 Plus, you can find even more discounts and coupons for your shopping trips at the local exchange by signing up for an account at MyMilitarySavings.com. Membership is free and provides access to all kinds of savings opportunities for military shoppers, and you can even save your location on the My Home Base page for helpful local deals and information relevant to your area. We also provide convenient links to other savings sources, including the sites of the exchange services for each division of the armed forces, as well as the Defense Commissary Agency (DeCA). If you’re ready to find out more information about the commissary and exchange savings opportunities available to you through the My Home Base Circular, enroll for a free account today at MyMilitarySavings.com.